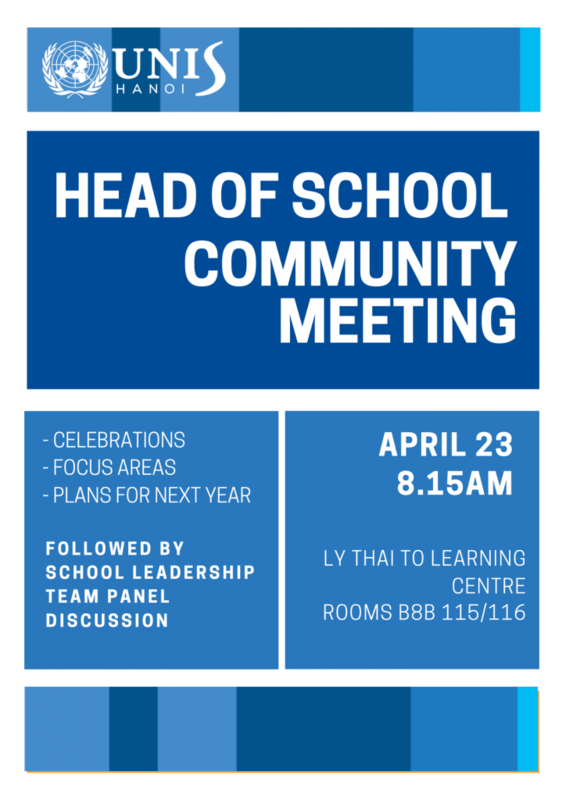 You are warmly invited to attend the Board of Directors Annual General Meeting (AGM) on Tuesday, 7 May in the Ly Thai To Learning Centre, upstairs rooms 115 & 116. There will be a reception from 18:30; canapés, wine, beer and soft drinks will be available. The formal meeting will commence at 19.00. The agenda for the evening will include an introduction to the Board of Directors, results from the Parent Election, updates from our committees and task force on the work they have been doing this year and a community exercise linked to planning for our next strategic management plan. If you have any specific questions you would like us to address, please send them in advance to the Board Chair at boardofdirectors@unishanoi.org. Make Your Vote in the Parent-Election today! Voting in the Parent Election 2019 is now on and will continue until next Friday 26 April at 12 noon. We encourage all parents to review the bios of our two candidates Maria S. Chung and Zeynel Kasapoglu (see bios below) and to make their vote via the online voting link sent to your email from UNIS Voting. Your voting link includes a brief intro to the two candidates, their photo, and attached bios in English, Vietnamese and Korean. Voting is anonymous and managed via a third party voting software Scholastico Ecoballot. If you experience any difficulty with voting please send an email directly to smit@unishanoi.org . The community will have an opportunity to meet with the two candidates at the Community Meeting with Head of School on Tuesday 23 April 08.15 – 09.15. As well as other agenda items, candidates will be invited to introduce themselves and to explain why they have chosen to seek election. Results of the election will be announced at the Board Annual General Meeting 7 May. As a parent, international attorney and committed volunteer at UNIS, I have had a wealth of professional and personal training in listening and advocacy. When I first embarked on my legal career in the US, I worked as a City Prosecutor representing over 50 government agencies within the state of California, while serving on the Board of Korean-American Democratic Committee and the Korean-American Community Lawyers Association. 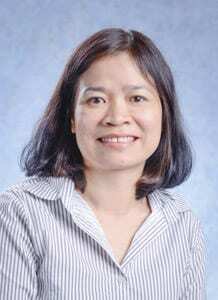 For the last 10 years, I have been practicing law in Vietnam in the areas of international arbitration, corporate compliance, and general commercial matters. 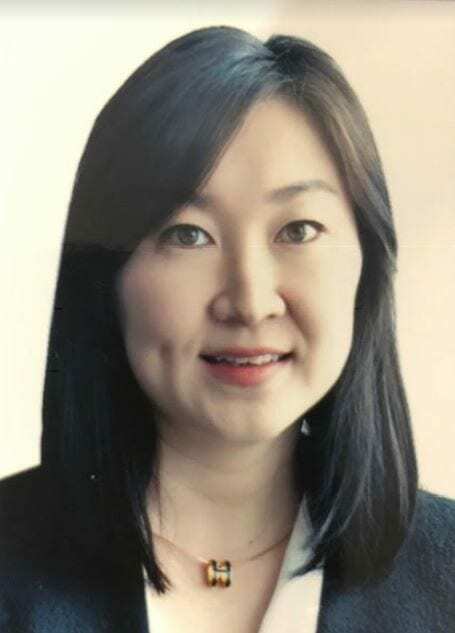 I am also actively involved in community and business organizations such as the American Chamber of Commerce, the Korean Chamber of Business, and Board of Korean Residents Association (specifically, the Education Committee). Most recently, I started volunteering with the Fundraising Task Force at UNIS, getting to know the school community and learning about its needs. Owing to my professional training and volunteer experience, I am well prepared to navigate culturally sensitive situations and to bring about solutions when there are differing interests and opinions. I come from a family of educators and am a passionate believer in the power of education to build a better world. Moreover, my legal training enables me to ask key questions, research viable solutions and negotiate agreeable outcomes. These skills, along with my empathy for each student and educator, will be my contributions to the UNIS Board. If given the opportunity, I look forward to promoting collaborative and open dialogues about the important issues that impact the UNIS community and working with others to secure quality education for all our students. at the UNIS Hanoi Board of Directors. I was born in Limassol, Cyprus but lived most of my adult life in London, United Kingdom, managing play, youth and community work projects in the London Boroughs of Islington, Wandsworth and City of Westminster Council. 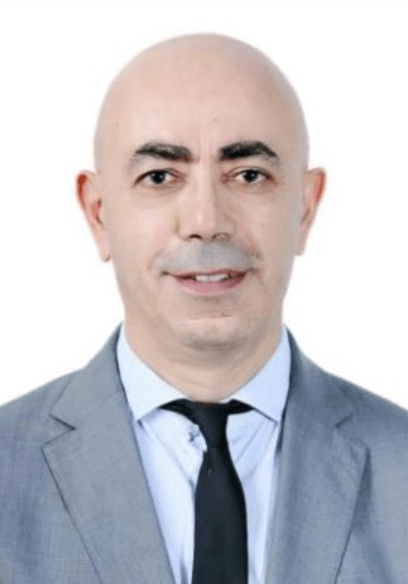 My work experience in Vietnam includes 3 years of lecturing in strategic management at Full- time and Executive MBA Programmes at FPT University-Hanoi Business School between 2009-2012 and the establishment and management of ILSE Education and Consulting since 2010. The centre specializes in academic English, international exams and overseas education consulting. My motivation for this role is our four children at UNIS Hanoi who are studying at Discovery, K2 and Elementary Schools. Just like every parent at UNIS Hanoi, I want the very best for my children. I want them to be happy, confident and become the very best that they can be. As a parent, I am passionate about supporting the school, but when necessary, engaging in tough scrutiny since there is nothing more important than the education and welfare of our children. Clear direction and leadership are key skills and qualities to effective school governing body and therefore a successful school. If appointed, I promise to work collaboratively to ensure that the school is not achieving for every child, but that it is constantly striving to exceed for every child. We look forward to sharing this year’s institutional celebrations with you as we head into the final weeks of school. I will also present on key areas we have been focusing on this year, progress of the CIS self-study and some new changes planned for next year. The presentation will be followed by a panel discussion together with our School’s Senior Leadership Team who will respond to any questions you may have. Included in the panel are: ES Principal, MS Principal, HS Principal, Director of Activities, Director of Advancement and Director of Technology. Our Director of Finance and Operations will unfortunately be out of town during this time. In addition, Board of Directors Parent Elect candidates will be invited to present themselves and explain why they have chosen to seek election. Health and Safety is one of our highest priorities at UNIS Hanoi. 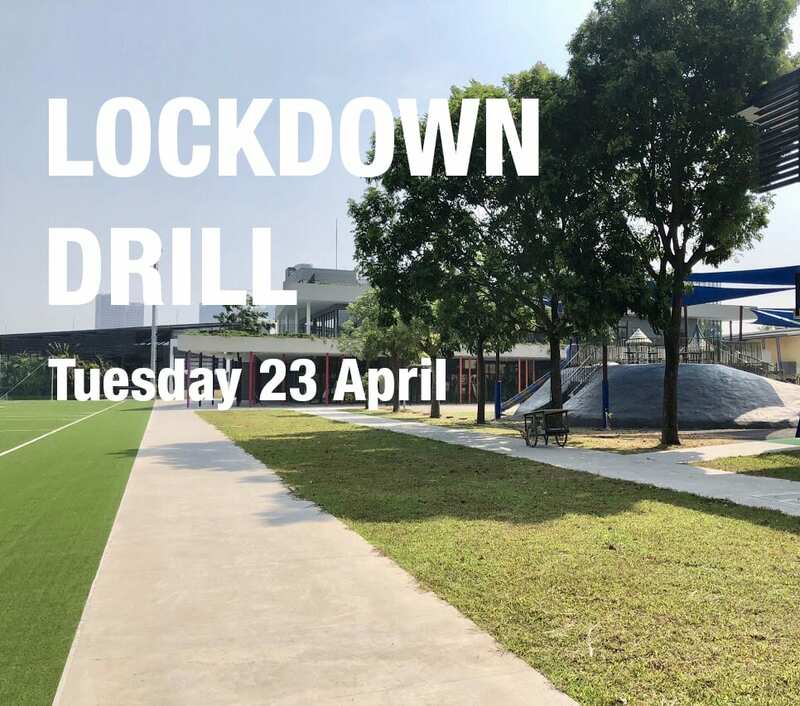 On Tuesday, 23 April at 13:20, the school will be conducting a lockdown drill on campus. This is an announced drill and all staff and students have been informed and trained on what to expect during a lockdown drill. A lockdown drill is one of the emergency preparedness standards required for our Council of International School (CIS) accreditation. The drill will be conducted in the same manner as our regular evacuation drills. Our hope is that we never have an actual need to go into lockdown mode. However, if this unlikely event occurs, please be assured that UNIS Hanoi is prepared to deal with it appropriately. Your child may come home with questions or concerns about this drill. This is a ‘just-in-case’ plan – it’s like wearing a helmet when we ride our bikes. We wear helmets and knee pads when we skateboard. We don’t expect to fall, but if we do, we’ll be protected. Then we don’t have to worry. We can just ride our bikes and boards and not even think about falling, because we have the situation covered. All guests on campus will be required to participate in the drill. If you are visiting that day, please be prepared to follow instructions or move to an area where you are inside and out of view. The gates to the campus will be closed so we ask for your understanding if you arrive during the drill and are asked to wait outside. 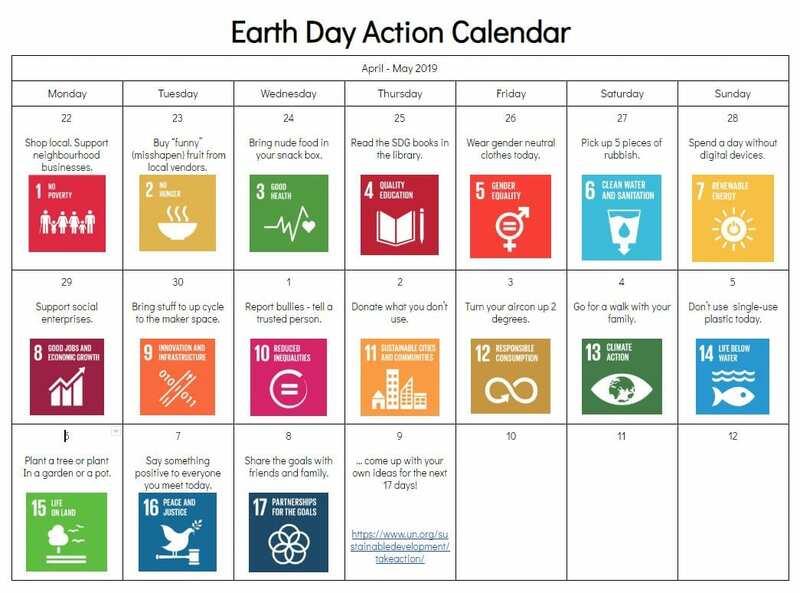 Earth Day Actions YOU can do! UNIS Hanoi students are taking action for Earth Day this year and they are asking for all community members to take part! 1) Go Green – Literally! Wear your green shirts, shorts, socks, dresses, shoes, what-have-you! 2) Have a look at our UNIS Hanoi Earth Day Action Calendar! Each day connects one small action to a Sustainable Development Goal. Practice one action a day, and challenge yourself to see which actions you can turn into habits for your daily life. 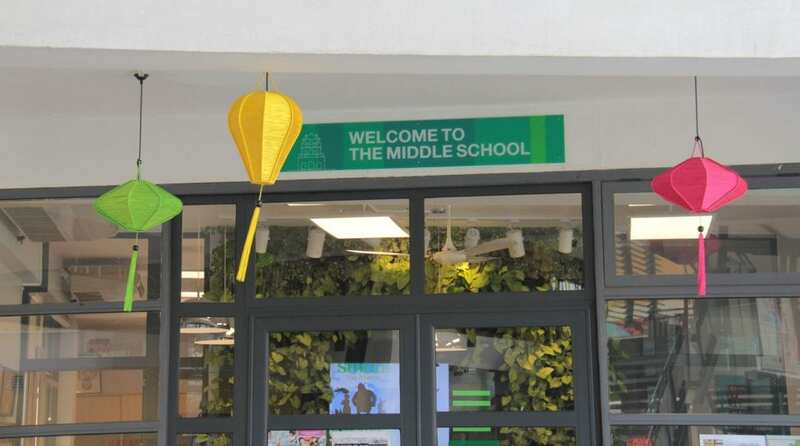 3) PYPX Action – Hour of no Power Everyone is encouraged to join in this action to raise awareness of effects of climate change and highlight the essential changes needed in consumer behavior to reverse these negative global effects. 4) The SDG Guardians have created a Stop Single-Use Plastic Petition. We invite you to have a read through, and complete this petition. Please add any questions you might have in the comments section, and let us know if you would like to join us in our work! 5) No meat for a lunch! The canteen will also join forces with the student initiatives by having a meat-free lunch on Earth Day. Meat-free protein options will be available. 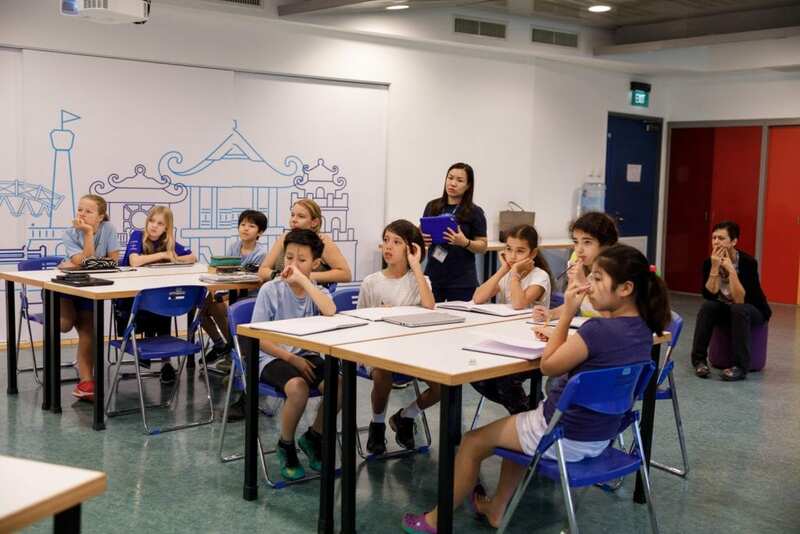 The Primary Years Program Exhibition (PYPx) is a showcase of the concepts and skills that Grade 5 students have learned throughout our Elementary School years in the PYP. It began with students taking our passions and connecting them to an issue. From there, the teachers sorted everyone into small groups of two to five students. This year the groups include social media and screen time, global warming, animal welfare, endangered animals, deforestation, animal cruelty, gender education, education resources, quality education, water quality, LGBTQ, plastic ocean, human impact on the ocean, hunger, clean energy, plastic pollution and reuse, animal trafficking and poaching, waste and cooking, war and weapons, domestic violence, unemployment, homelessness, girls in sports, gender equality and transport. For the first few weeks, the students worked on developing our lines of inquiries to have an idea of what we were going to research. After researching, we took the information and wrote informational reports. Then we revised, edited and published our reports, which can now be found in the library. We spent the last two weeks taking action and preparing our presentations. We hope to see you at the PYPx! 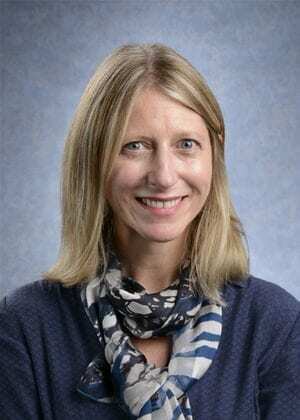 Dr Sandra Whitehouse is a Doctor of Philosophy, a Marine Biologist and a senior policy advisor with Ocean Conservancy. 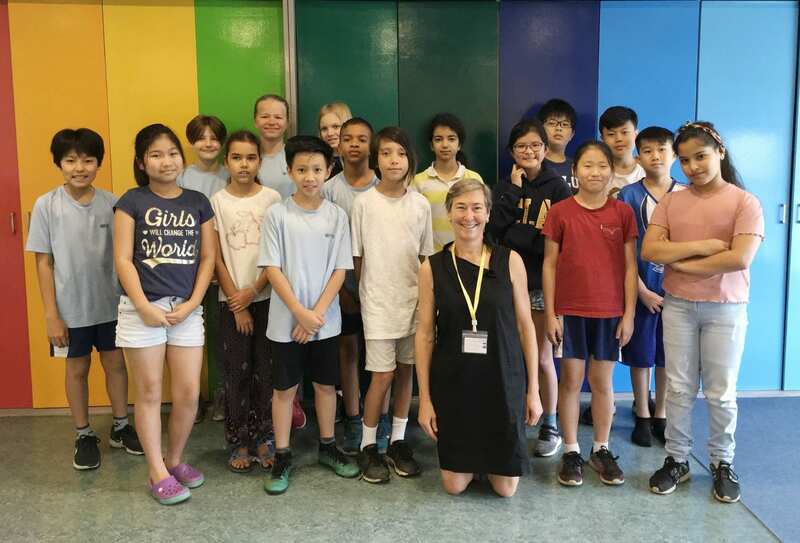 While she was here in Vietnam talking to different Government bodies about ocean plastics and marine debris, both in the oceans and river systems, she found time to visit with a group of grade five and six UNIS Hanoi students. Dr Whitehouse made it clear that the problem of plastic entering the world’s oceans is something that can be fixed in 10 to 15 years. She also explained that the issues of plastic and other debris aren’t simple ones. For example, she is often asked why people don’t get rid of plastic water bottles and go back to glass bottles. “The simple answer, in most cases, is the cost of the ‘carbon footprint’ on the climate and a more comprehensive solution to the problems are recycling and reusing. Dr Whitehouse explained that Ocean Conservancy and corporate companies are actively looking for ways to reduce waste that is environmentally damaging, through an initiative called the ‘Trash Free Seas Alliance’. Working closely with large corporate companies such as Coca Cola, DOW, WWF, Walmart and AMCOR, to name a few, to bring about change in production and strengthen their responsibility for product disposal, is a high priority. Another subject in Dr Whitehouse’s presentation was Government spending. The amount of money spent by Governments to support waste management systems is minute compared to money spent on other areas such as schools, water and sanitation, and infrastructure. Students had the opportunity to ask Dr Whitehouse questions. Where is all this plastic coming from? There are two major sources of ocean plastic. 20 percent is actually still coming from sea-based human activities, direct dumping of plastic in garbage off of boats, fishing gear that’s either been lost or improperly discarded, or from containers spilled into the ocean. But what we also know is that 80 percent of plastic is originating from the land from human activities there, and, in that case, it’s from a number of different sources. We now know that the 50 percent of the leakage of plastic into the ocean is currently coming from five rapidly developing countries in Asia and Southeast Asia, and those are China, Indonesia, the Philippines, Vietnam and Sri Lanka. According to Dr Whitehouse, about 66 percent of wildlife is impacted by marine debris either by damaging digestive tracts, poisoning, or entanglement, and about 8 million metric tons of plastic is getting into the ocean every day; 80 percent coming from land-based activities. Much of the problem is caused by direct dumping due to the lack of waste facilities. So while some countries are producing more plastic, 99 percent ends up in landfills, whereas developing countries such as Indonesia and China don’t have the proper facilities and necessary management. “There isn’t one single solution,” Dr Whitehouse said, explaining that there’s a process and some countries struggle with one specific aspect or another, whether that’s collecting the trash or providing a landfill for dumping. “They’ll need to be tailored for each country.” Dr Whitehouse explained that the Ocean Conservancy is working to solve plastic production and disposal issues from the home, to waste management systems such as landfills. Dr Whitehouse reminded students that part of solving this worldwide problem was in their hands too. By continuing to be well informed about these issues, spreading awareness and educating others. “You are our future and without you, we don’t have a chance to fix these problems”. Saturday Service Community Day – Sign up now! Join Saturday Service Community Day on 4 May to make a Better World together! 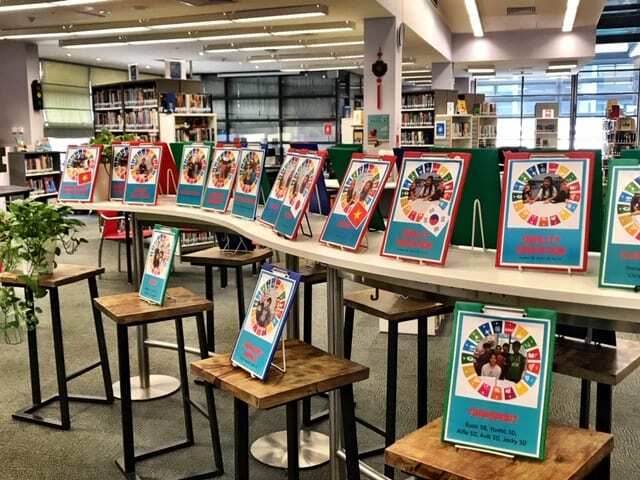 This Service Learning community event is for UNIS Hanoi students, parents, faculty, staff, our service partners and the wider Hanoi community to connect with each other through fun and meaningful service activities and we hope that you will join in. 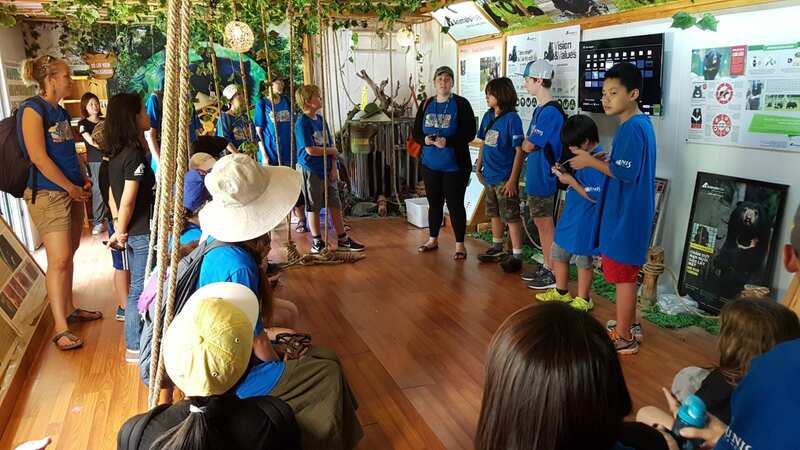 A visit with Grade 6 students to the Tam Dao Moon Bear Sanctuary: The G6 students are currently collaborating with the Animals Asia on eight different action projects connected to the Moon Bear Sanctuary in Tam Dao. Volunteers for this activity will be led by the G6 students on a tour of the centre in Tam Dao and help them develop their abilities as Moon bear Ambassadors. Volunteers will also be asked to complete some other sketching, photography and research activities connected to the G6 Moonbears projects. This activity is for children of all ages, children under 15 must be accompanied by an adult. We are looking for 30 volunteers. The group will leave midday and return to UNIS Hanoi at around 17.30. 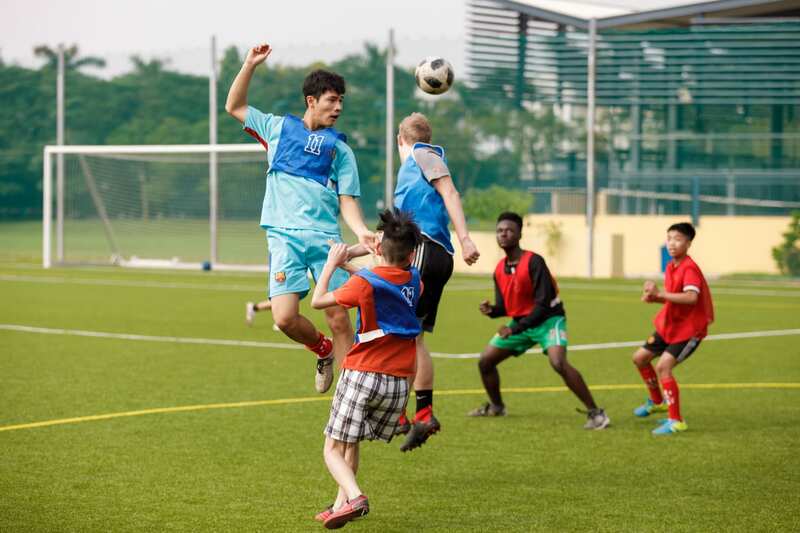 Games afternoon with blind students: This year UNIS Hanoi has established a new connection with a local organisation that supports blind and visually impaired children and their families. A group of Grade 8 students and teachers have led one successful day at UNIS Hanoi in Semester 1 and this will be our second session with the group. The Grade 8 students have prepared some educational story based activities for the students to take away and we will also work with the leaders of the group to run sports, arts and music activities with the children. We welcome 10 volunteers of 12 years old and above to come and join in the activities. Please note that children under 15 must be accompanied by an adult. Games and Art activities with children from Thuy An Village and the Huong La Centre: Come and play fun team and sports games with children from Thuy An Village Orphanage and Huong La Centre. A group of Grade 8 and HS students will lead the children through various sports and arts games. Volunteers will participate in games of football and other arts/ activities set up for our visitors. A great opportunity for members of our community that have an interest and/or expertise in working with people with disabilities to connect with these groups that UNIS Hanoi has develop close relationships with over a number of years. We are looking forward to welcoming 15 volunteers of 12 years old and above to join in. The UNIS Hanoi SCO Used Book Sale is happening on the same day in the morning and this year there will be a flea market as well. We will organise a BBQ that we will use to invite our service partners to have lunch with us. A community that saves lives! Thank you to community members who took the time to to donate blood yesterday. We appreciate it so much. Your effort shows your generosity, selflessness and dedication to helping others. Those are remarkable traits. With the help of our 65 participants, we were able to collect 54 units of blood! The real winners are the patients in need of blood. Your effort is truly appreciated by the blood recipients, their loved ones and all of us here at UNIS Hanoi. 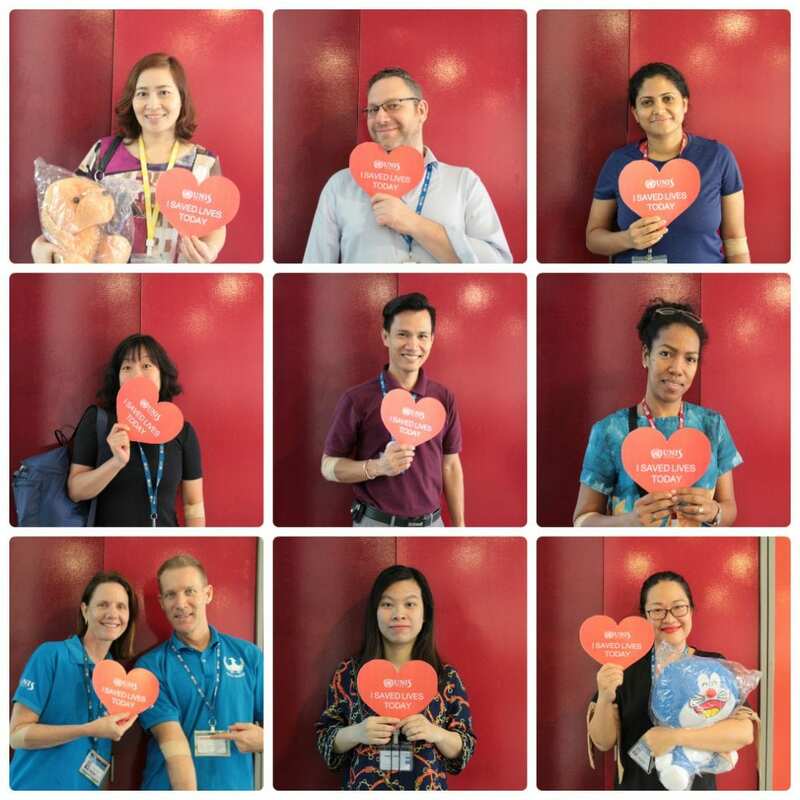 In addition to blood donation to the National Institute for Hematology and Blood Transfusion (NIHBT), we raised 4,900,000VND for the Service Learning group Operation Healthy Hearts! This event was an all round success and we are committed another blood drive in the following school year. We hope that we can count on you at our next blood drive. And if you have not given before, consider donating next time! If you are interested in organising a Blood Drive of your own, you can contact the NIHBT representative Mr Thuy (xuanthuy.dav@gmail.com). He is great to work with and it is very simple to setup. Happy to be of support if you have any questions or share any resources shared! A special THANK YOU from the “Middle” to the SCO this week! We have returned from Spring Break to find beautiful, Vietnamese lanterns in B5 and B6. The SCO develop new initiatives from students, teachers and parents to enhance our school and our community. 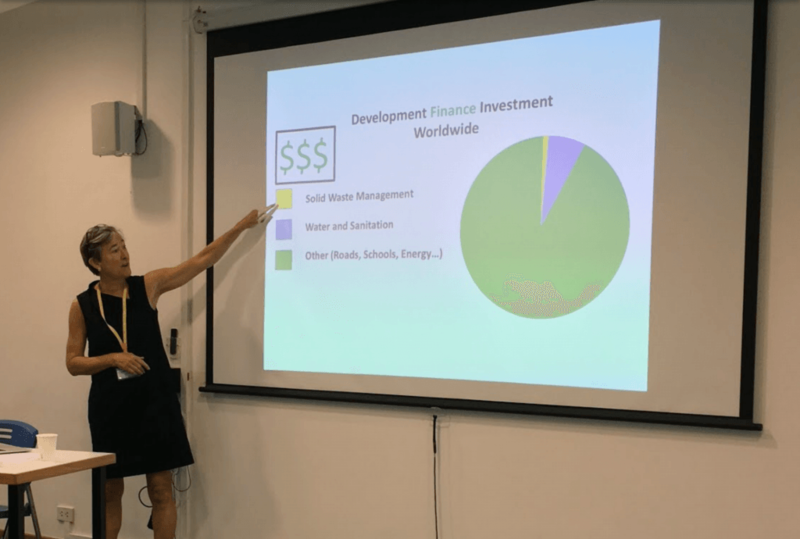 If you feel the need for some equipment on campus, or have figured out a way to implement the UN’s SDGs within our community, or have an idea for a workshop and need money to make it real, you can apply for funding from the SCO. To learn more SCO Project Funding website. 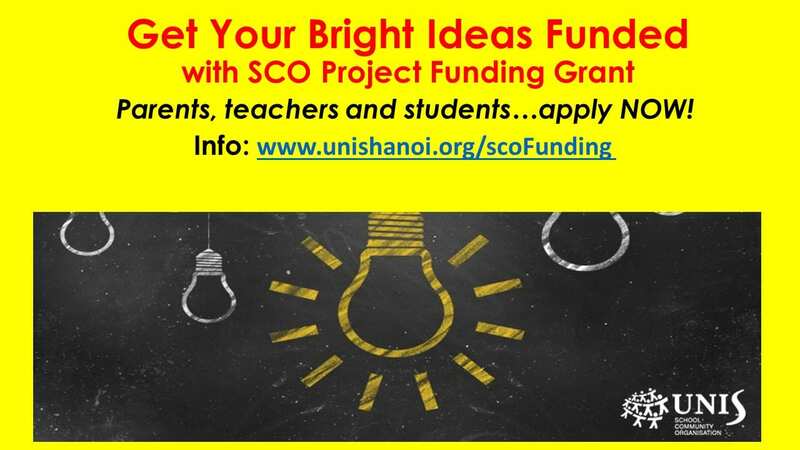 Or email sco_funding@unishanoi.org. Thanks again SCO for helping to enhance our community here at UNIS Hanoi!